I love spring climbing trips! Although when we went it was still a bit chilly. 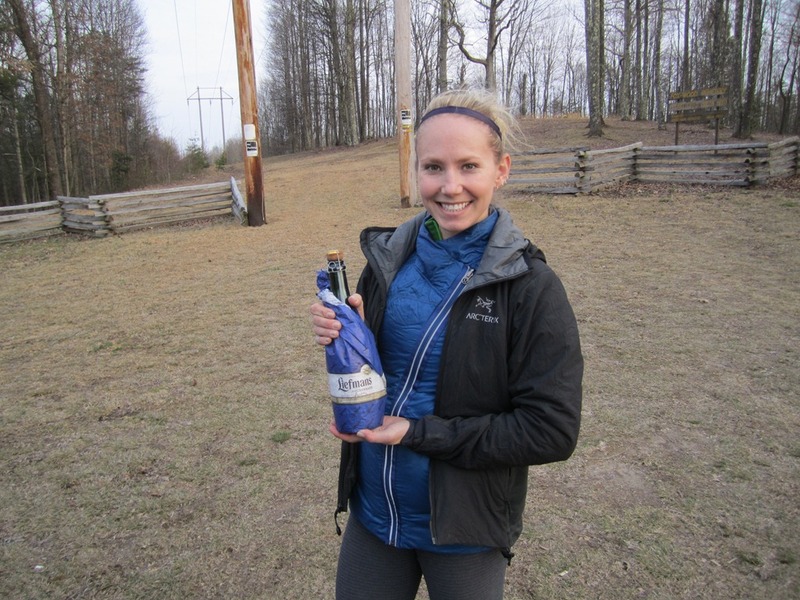 After an awesome day climbing (I sent another 11a!) we got back to the cars and opened a few beers. Jack and I split the Liefman’s Goudenband which is a Flanders Oude Bruin by Brouwerij Liefman’s of Oudennarde, Belgium at 8% abv. It was the perfect temperature, since it was a cool day. Wonderfully tart, sour berries, caramelized sugar. 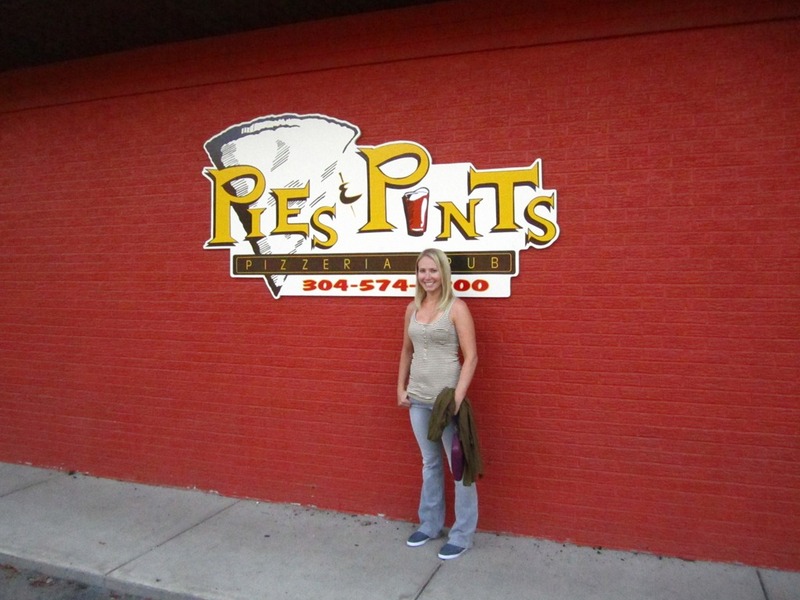 Of course we then headed to our favorite place to eat in Fayetteville, Pies and Pints! With dinner I had another beer, I wanted something darker with the pizza and I got the Breckenridge Vanilla Porter by Breckenridge Brewery of Denver, CO at 4.7% abv. 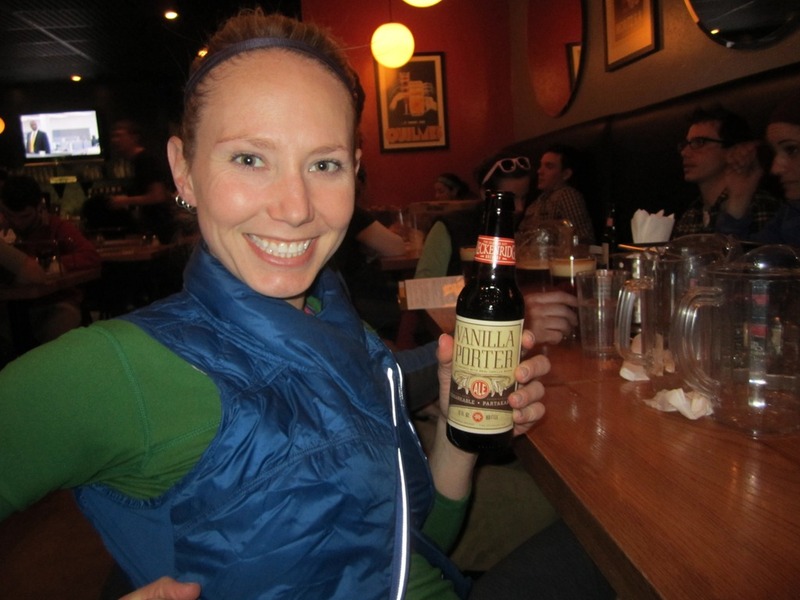 A tasty, hearty beer. Especially after tasting a sour beer, the vanilla in this porter really jumped out at me. Along with creamy chocolate, toffee and light coffee flavors. Soft and somewhat like cream soda. Delicious! Apparently I didn’t take any pictures of us climbing, but I did manage to take a few of the beers I drank. 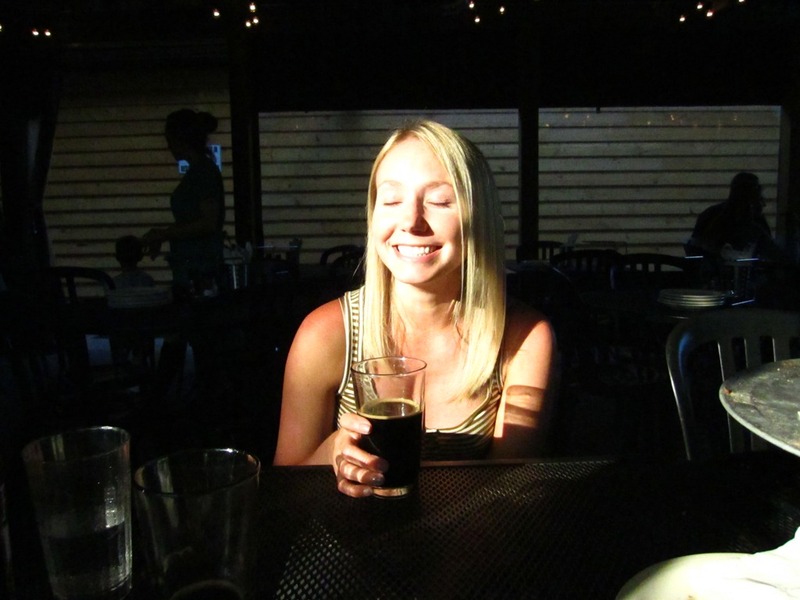 Its beginning to get a little odd when I look back at the pictures of my life and all I see is beer. Not that that’s a bad thing I suppose! 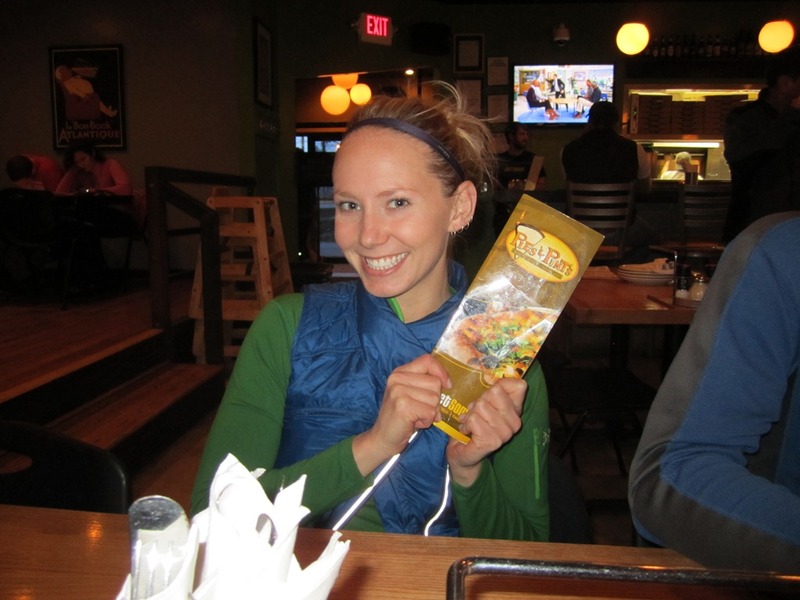 Of course after a hard day of climbing we went to Pies and Pints! We got there slightly before the big dinner rush, so we were able to get seats right away! They have pretty good beers in their beer cooler but the menu is never updated. 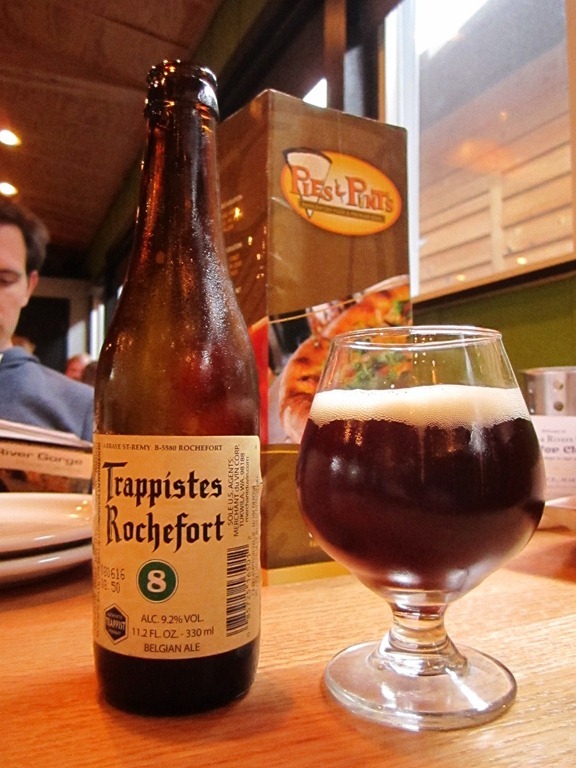 After walking up and checking out their cooler, I decided on the Rochefort 8 by Brasserie de Rochefort at 9.2% abv. I cant not order this beer when I see it! Its just so good! Moderate to high carbonation and a medium/ thin body, tons of tiny little bubbles. Goes down easy with a slight tingle from the carbonation. Heavy on the fruits and yeast. Caramel and almost herbal. The alcohol is very well hidden. Although you can tell its in there by the time you finish the beer! 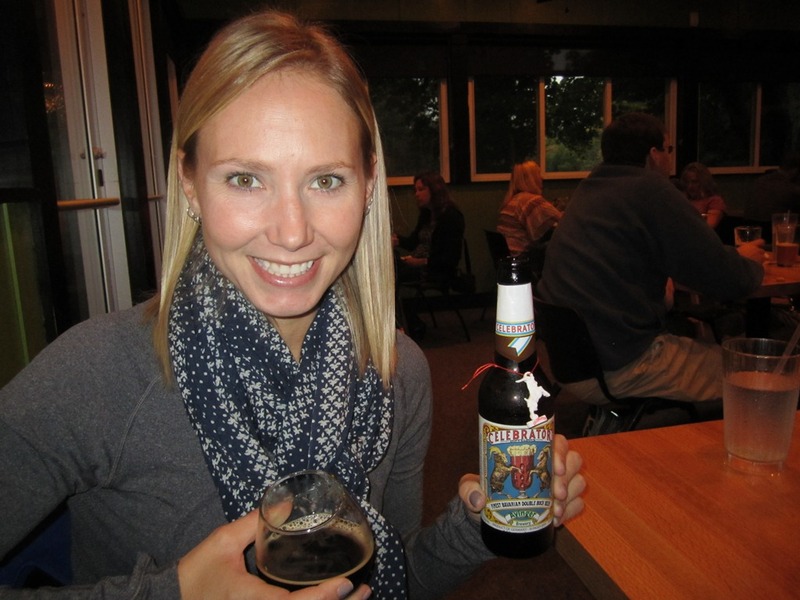 And next I had the Ayinger Celebrator of Aying, Germany at 6.7% abv. I hate to say it, but there’s not many German beers that I like. This is one of the few that I love. Pours dark, with a slight ruby hint to it. Roasted malt, mild smokiness, toasted bread, nutty. This is one of the best dopplebocks I’ve had. I’m not gonna lie, I also love the label and the little goat tag that comes with it! Saturday we met up with some friends to climb and went to a new area! Fantasy Wall on Endless Wall. Everyone was climbing super hard and having really good days! 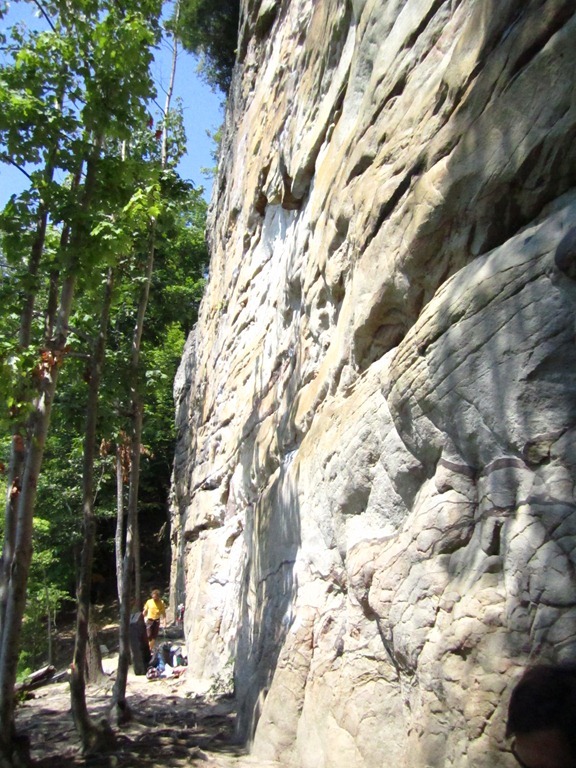 I thought the best climb of the day, for me, was Fantasy 5.8. It was a gorgeous crack climb, (4 stars) I top-roped it, since its a trad line, but I think next time we are in the area, I might try to lead it! 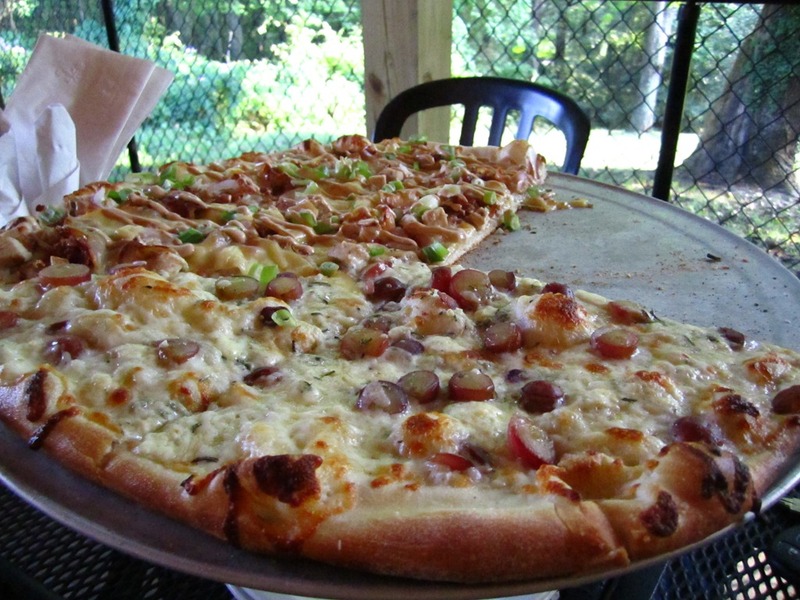 But for dinner, we headed back to Pies and Pints, and guess what I ordered again?? 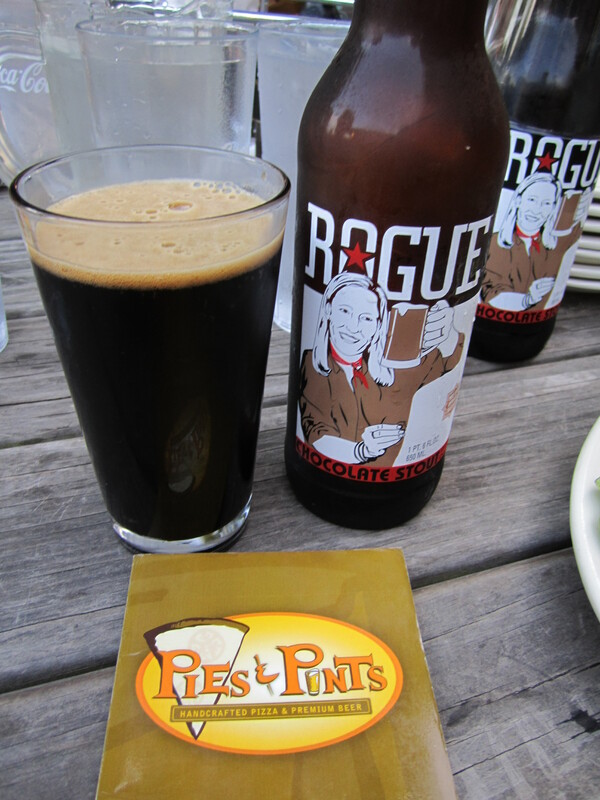 Yeah, haha, the Rogue Chocolate Stout. (they had more hiding somewhere apparently) I guess I’m a creature of habit. Short and sweet! Thats pretty much it, we chilled for a while and then all went back and crashed hard! I slept so well! This weekend, we decided to take a break from triathlon stuff and get some climbing in! We left Wednesday night and made the 5 hour drive to the New River Gorge, WV. 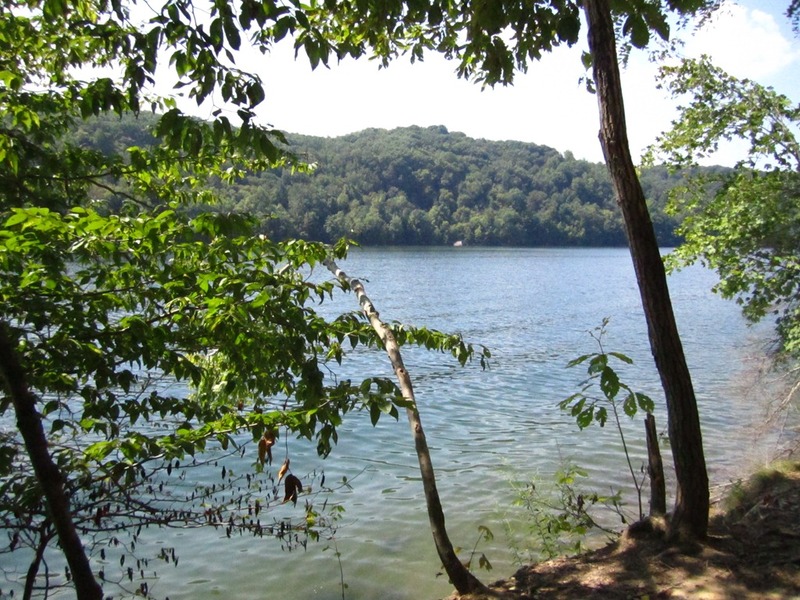 Thursday morning when we woke up we knew all the popular climbing areas would be fairly empty so we decided to go to Summersville Lake. We got some good climbs in, nothing too hard since both of us haven’t climbed in…months?? It was really nice to se Orange Oswald wall nearly empty!! But after a day of climbing and swimming in the lake, it was time for Pies and Pints! They have a pretty good beer list here but I always seem to have trouble getting porters and stouts. They didn’t have any on tap today because its not quite fall yet, and they only really carry one or two that sell out fast. 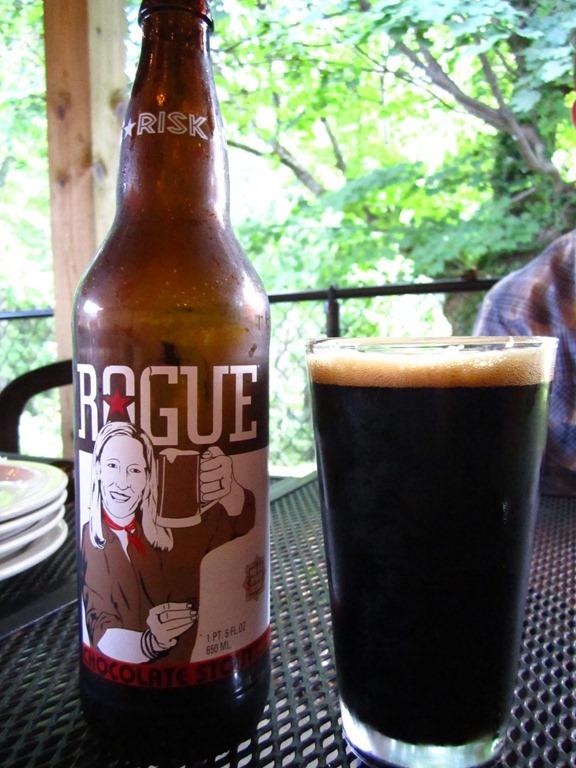 (that tells me that they need more dark beers) I ordered the Rogue Chocolate Stout (which she told me was their last bottle, lucky me!). Poured wonderfully dark with a beautiful creamy mocha head. Tastes of roasted malts, hint of vanilla, chocolate, hints of coffee. The mouthfeel was a bit thin though, I like my chocolate stouts to be thick and creamy. I usually only get this beer when I come to the NRG so its always a treat for me! Jack branched out and got the Rogue Somer Orange Honey Ale on tap. I ended up having half of it, and he split my beer too since I ordered a 22oz. 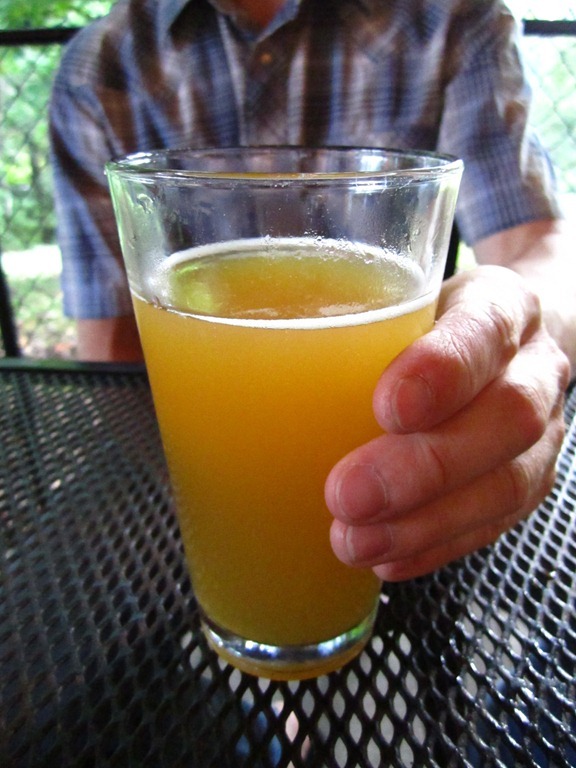 I have to admit, for a wheat beer, it was damn good! I was tempted to order another one all for myself! I tried to look this beer up on beer advocate, but they said it was retired and no longer brewed. odd. Tastes obviously of oranges and honey and wheat. I didn’t get much else out of it, but it seemed pretty simple and refreshing. The pizzas are amazing! We got half Grape and half Chicken Gouda. We were sitting outside and the sun managed to make it through the trees and I was suddenly in a spotlight! It was blinding!